Justin Cronin’s The Passage is an epic tale of monsters; government monsters and the ones they have created. This is a lengthy read and it covers a full century, shifting seamlessly from one time period to another. Yes, it has and will be compared to many other books out there but it definitely has unique qualities that make it worth the read. In the opening chapters, we are backtracked in time and introduced to an American doctor. Through a series of emails to his close friend the doctor tells of his experiences in a South American jungle on a research expedition. He speaks of the company he is in, his grief over his dead wife and how his group has been unexpectedly joined by U.S. soldiers. His emails continue with a tale of most of the group being attacked by a large colony of bats, then growing extremely ill and dying. Thus we are given the origin of the vampire virus. Flash forward some years and we are introduced to Amy, who is the most pivotal character of the book. Amy is the daughter of a woman who has a great deal of hard luck. This woman becomes a prostitute, which eventually leads her to murder someone in self-defense. Knowing that she will be arrested, Amy’s mother desserts her, leaving 6-year old Amy in the care of Sister Lacey and her group of nuns. Meanwhile, in a government compound in Colorado, the doctor from expedition is performing experiments in an effort to create bio-engineered soldiers that are unconquerable. The FBI has been tasked with recruiting 12 prisoners from death-row to take part in these experiments. When FBI Special Agent, Brad Wolgast picked up his last criminal, Anthony Carter, he saw something in the prisoner that caused him to question the prisoners’ futures. When the next person to be picked up for the doctor’s experiments is 6 year-old Amy, Wolgast knows he must risk everything to save her. The prisoners are being injected with a compound that originated with the virus that killed the expedition group. The compound transforms them into vampires. Known as “virals,” these aren’t your run-of-the-mill vampires and there is absolutely no romance involved here. These are hardened criminals who have been turned into unearthly killing machines. As it turns out, the vamps can also tap into the human psyche and influence human beings to do their bidding. They are crazed, maniacal killers, but they will keep one in ten victims alive to add to their colony, which operates as a group consciousness, with the original injected victim being the leader. So you got it, all the guards in the world aren’t keeping them in this government compound for long! These inhuman creatures escape from the compound and once unleashed, all of America turns into a place to run and hide. As the killing begins, Wolgast risks everything to save Amy. And Amy knows that she may be the key to saving the world. Flashing forward several decades into the future, we join a California community who is struggling for survival in a post-apocalyptic United States. They must keep the lights on as protection from the “virals” of the night. But the batteries that run those lights won’t last much longer, A teen aged girl named Amy has wandered into the community and not everyone trusts her. Members of the community are beginning to turn on one another in mysterious ways, and the “virals” seem to be getting closer each day. Amy leads a small group outside the walls on a quest to save the world. Is The Passage just another post-apocalyptic read, another story about vampires? No, this book is an experience to slowly soak in. It’s a melancholy creepy, monsters-from-the-dark story that will scare your pants off. Why is it scary? Because the author makes the science behind how the vampires came to be, seem feasible. These are not your typical vampires and although the focus of the story relies on the vampires’ existence, the vampires themselves aren’t present through a lot of the book. Justin Cronin takes us gracefully from one setting to another with some superbly written characters. We learn a lot about each character’s background. We go along with them as they fight for survival. The reader is able to watch the characters grow and change in a natural way as they are depicted with angst, love, depression, cruelty, heartbreak, weakness and a depth of strength and courage that they are unaware that they possess. Definitely adding in to my TBR in Goodreads right now! Sounds amazing. That’s awesome! I’ll look forward to seeing how you like it! I really liked this book! I hear the narrator is great on the audio version! I always think of audio when I think of a refresher. Fantastic series – just finished The City of Mirrors. I am eagerly anticipating reading it! Great review, I loved reading The Passage. Thank you! Have you read two yet? 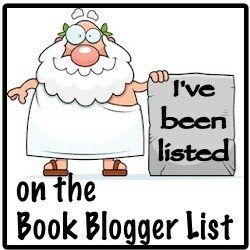 I blog for books and you can too! If I follow you that means I love your blog and I also appreciate each and every one of my followers. Please understand that I only post book reviews on my blog. While I truly appreciate you including me and I love to check out the other blogs listed, I do not participate in the nominations, awards, WWW Wednesdays, etc. I DO LOVE READING THEM THOUGH! Please check out the "Blogs I Follow" and "Posts I Like" areas. These would be the blogs I highly recommend to others. Occasionally I do mention my fellow bloggers in context with what I am reviewing (i.e. This is what I read in May for short story month). If you do not wish to be included, please drop me a comment to let me know. You can learn more about me personally by clicking on The Defined Introvert and reading A Small Introduction. This is my other blog where I post about things other than books. Here, we are going to unveil the Modern and Trending interior design ideas. Because wanderlust is a big commitment.